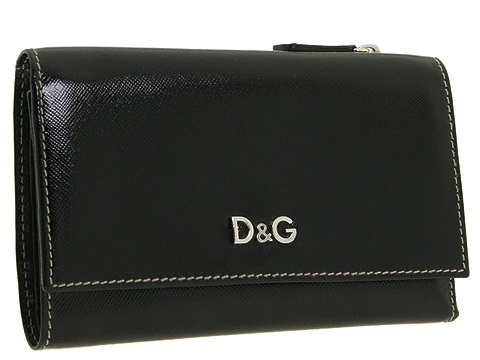 Sharpen your style with this sleek wallet from D&G. Made of embossed patent leather. Holds your credit cards, currency and identification. Top flap with a snap closure. Dimensions: 6 wide x 1/2 deep x 3 3/4 high. ; Top bill compartment. Interior contains five credit card slots, a full-length zip compartment.